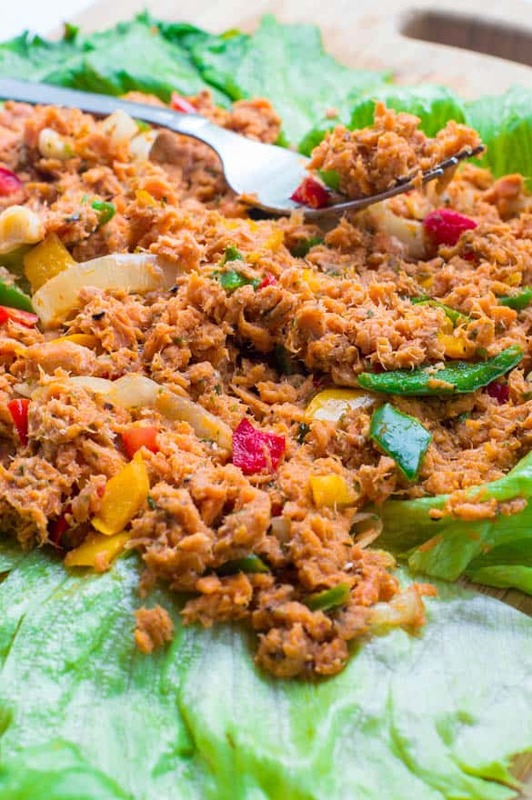 Simple hot tuna salad recipe – who said salads are supposed to be cold? Well this flavoursome tuna salad with bell peppers defy all odds. 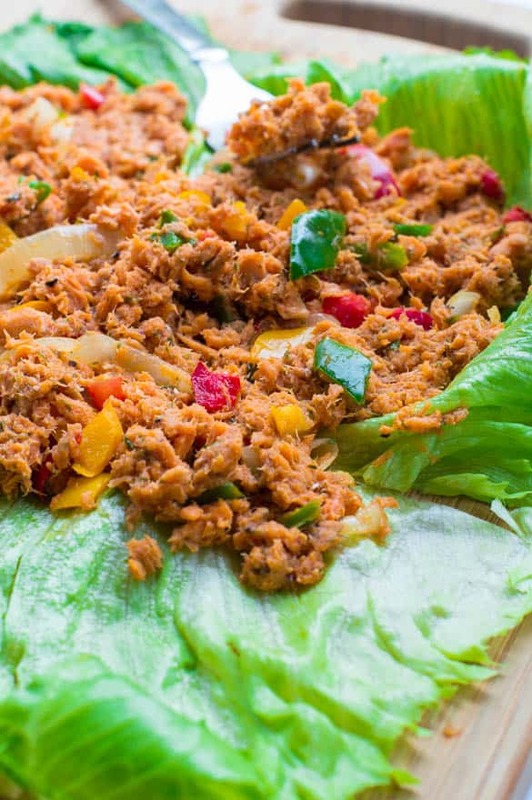 This simple hot tuna salad recipe brings me back to my days of being a student and I will tell you why. Whenever I was handed a copious amount of essays with deadlines to commit to I would fix myself a plate of hot tuna salad. It’s fairly quick to make, light on the tummy with a good boost of protein from the tuna. I used the tinned version of tuna rather than the steak for ease and convenience. Ready made tuna can be eaten cold which tends to be the most popular choice or even warm. It you’re not accustom to eating warm tuna flakes, this may come as a shock to you. However, as shocking as it may seem, the results truly are mouthwatering and divine. 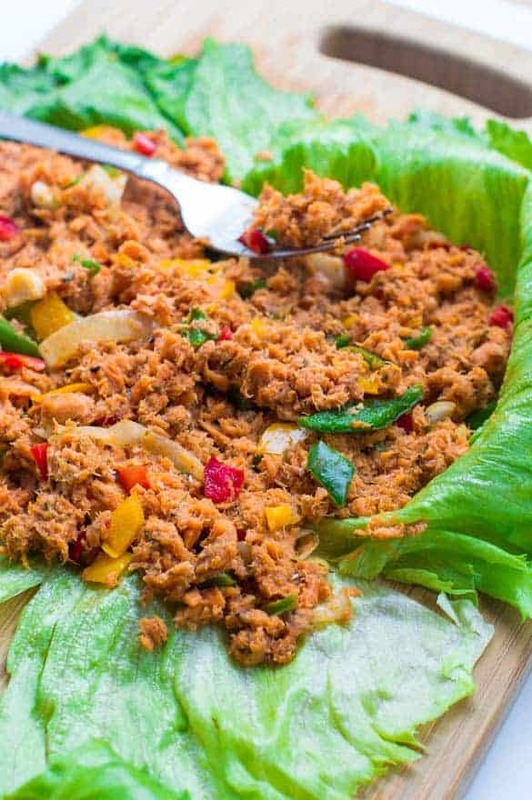 Seasoned tuna served on a bed of lettuce mixed with multi coloured bell peppers – a great way to consume some protein with vegetables and salad on the side. To begin with start by marinating the tuna flakes with all of the condiments (see recipe) excluding the bell peppers and onion. There’s no need to set aside the marinated tuna for endless hours, so sigh with relief. The onions need to be sauteed for a minute or so to soften followed by the bell peppers – ensuring not to over cooked them. The final result when the meat meets the bed of lettuce – voila! Place the lettuce on a plate so it creates a bed for the tuna. 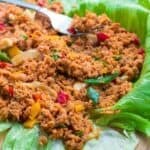 In a small bowl, add the drained tuna and incorporate all of the season excluding the onions, oil and bell peppers and set aside. In a small frying pan, under medium heat pour in the olive oil with the onions, stir and sauté for roughly 2-3 minutes. They don’t need to be golden brown just a slight tan is fine. Add the bell peppers and sautee for another minute, until slightly soft. At this stage fold in the marinated tuna mix, give it a good stir to combine the onions and peppers. Cook under low heat for a further 3 minutes, the tomato extract should begin to seep through to the pan, this is the time to remove it from the heat. This looks really delicious and easy! I will definitely try it. Thanks. Was looking for this! Just came back from Cuba, where I had my first hot tuna sandwich. Rico! Why haven’t I ever had hot tuna before?? Well, I didn’t want to just wing it, so I thought I’d see if the internet had any suggestions. Going to try this one! Thanks for posting! Awesome! You’ve picked a good time of year to create the dish, should warm you up nicely.